A child's preschool years are a time of discovery and learning basic skills that will carry him through kindergarten and primary grades. Using that time wisely to reinforce those skills will make a difference when your child starts a formal education. Worksheets are a fun and simple way to learn numbers, the alphabet, basic reading, colors and shapes, and other skills. To print any of the worksheets in this article, make sure you have the most recent version of Adobe reader. If you don't have it, you can download it free from the Adobe website. Click to print the color worksheet. 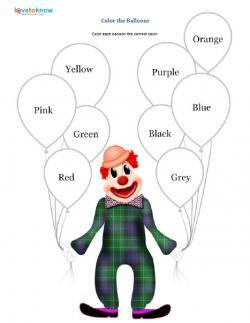 The worksheet features a fun circus clown holding balloons. The balloons have the name of the color inside, and your child will fill in the blank balloon with that color. This worksheet not only helps your child learn colors but will reinforce basic motor skills as he strives to color within the lines. Click to print the numbers worksheet. 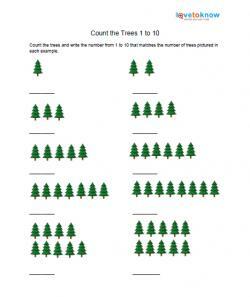 Have your child count the trees and write the corresponding number. 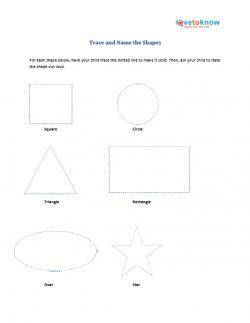 Click to print the shapes worksheet. Have your child name the shape and then trace it with a pencil or crayon. You also have the option to have your child color in each shape. Once your child finishes these activities you might want to print out more worksheets. 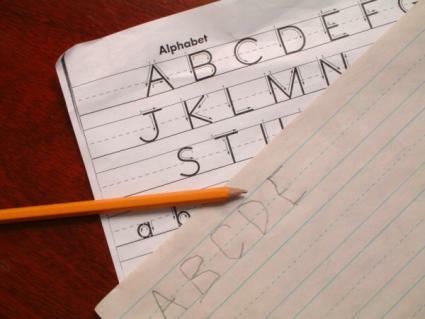 Printable Kindergarten Activities offers advanced preschoolers a glimpse at kindergarten work. You'll find worksheets on counting, figuring out more or less and printable mazes. Color by the numbers printables can help children learn numbers, colors and manual dexterity by coloring in the lines. Choose from a jungle scene or beach scene. There are numerous companies offering preschool worksheets and lesson plans. From the ABC's and pre-reading to number recognition and pre-math, there are printable forms available in most topics. Some companies offer these for free, while others charge membership fees. The site offers free samples of many pages, although they will print with an ad. If you want to avoid the ad, and support the site, you can purchase a membership for $20 per year. The site offers over 5,000 pages for free access. For complete access, users must pay a membership fee. Membership also entitles users to use several design-your-own-worksheet wizards. Many of this sites sheets are offered in full-color, so they use a lot of ink. Remember that you always have the option of printing in greyscale or black and white. While preschool printables and worksheets can be wonderful tools in a well-rounded preschool program, they should not form the foundation of the program. Young children learn best by doing, interacting, and imitating. They should have daily conversations with parents, caregivers, or teachers. Young kids should also engage in a wide variety of hands-on activities. Physical activity is also a must. Used along with these other tools, worksheets can be a valuable part of the preschool experience.